Thinking about becoming a sponsor / vendor? 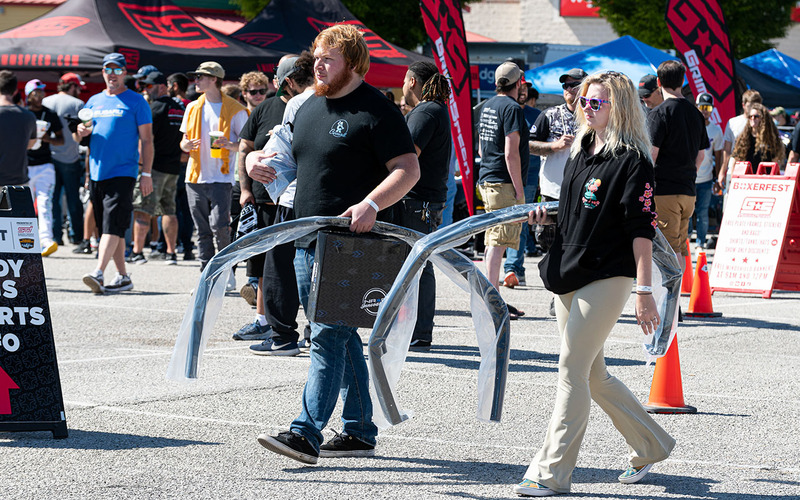 Boxerfest is specifically designed to prioritize the sponsor / vendor experience. In short, we create an exciting Subaru performance marketplace with additional branding opportunities before, during, and after. The result? An event where attendees not only buy items you bring to sell, but they leave loving your brand more. We do this by heavily encouraging vendors to sell products and services at the event paired with heavily encouraging our attendees to come ready with cash in hand. 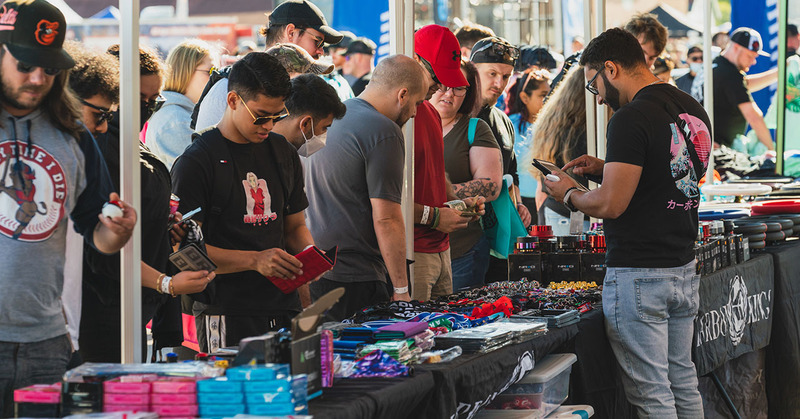 To help, we promote event-day vendor specials and have a one-of-a-kind approach to giveaways that drives an impressive amount of foot traffic to vendor booths. Want to receive updates regarding event sponsorships? Note: Early bird pricing in effect until May 19, 2019. Don't wait! Or leave blank if you're not yet in our system. Do you need to rent tents or power? Selling or giving away food or beverages is absolutely not allowed and is forbidden by both local health laws and the venue. Only one vendor is allowed to display in each respective area. Absolutely no sharing vendor booths. All sponsor packages (except web/t-shirt) require a giveaway item. Please note the minimum value associated with your package. Some sponsor packages require you to promote your involvement at the event on Facebook. We'll provide you with plenty of content. Vehicles in vendor booths may not participate in the Car Show, Autocross, Exhaust Competition, etc. SubieEvents, LLC assumes no responsibility for loss or damage, including to display items, products and/or vehicles. Vendor will be held responsible for any and all fines/penalties resulting from their misconduct. Vendor tier prices go up $100 after May 19, 2019. Custom sponsorship levels available contact sponsors@boxerfest.com for options. Providing prize goods and/or services is a vendor/sponsor requirement and is not optional. All vendors are encouraged to provide special deals on products and service for the show. The signup deadline for having your logo printed on shirts and photobooth background is May 12, 2019. Subaru Group/Club specific option is available. Please read this page. Location priority is primarily based on sponsor package / price paid and when the payment was made (sooner = better placement). Only one vendor is allowed to display in each respective area. Absolutely no sharing. Power connections available for $75.00 per location, and must be requested by at least three days before the event (available during checkout). Tables and chairs are limited and are first come first serve. Please bring your own to guarantee having a table and chairs. Vendor locations are determined the week prior to the event. Fixed spaces may be flush against other sponsor spaces, so please booth design appropriately. Sponsor provided ~8' x 2' banners may be placed around the venue at organizers discretion if offered in sponsor package. The photo booth will be a special area for attendees to be photographed. The background will include Boxerfest Official Sponsors. Tickets for use in Official Sponsor giveaways will only be distributed to winners after a contest / promo is held. Official Sponsors and Associate Sponsors are required to cross promote Boxerfest on Facebook before the event. Email opt-in opportunities are presented to attendees during the ticket sales process as well as raffle entry process. It is up to them to opt-in to receive emails from you and therefore vendors are not guaranteed to receive a large email list.